The year is coming to an end! Now is the time to start preparing for the new year. Don’t wait until January to get your game plan together. 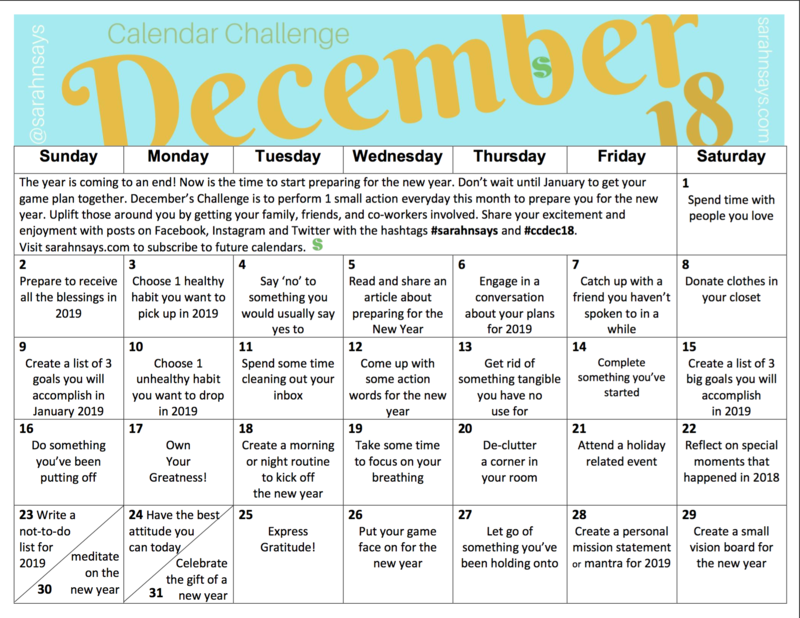 December’s Challenge is to perform 1 small action everyday this month to prepare you for the new year. Uplift those around you by getting your family, friends, and co-workers involved. Share your excitement and enjoyment with posts on Facebook, Instagram and Twitter with the hashtags #sarahnsays and #ccdec18. Next Post: To 2019! The Year of Growing UP, Going After and Getting There!